Breathe easier, this Professional Nail Dust Collector have you covered! 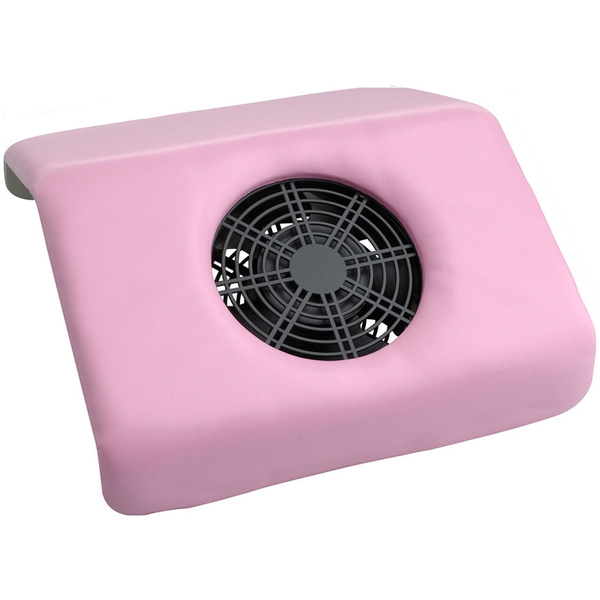 It keeps the air in your salon clean from nail product dust and includes reusable dust collector bags! Award-winning Fuchsia nail dust collector has strong ventilation power that quickly, and quietly, extract nail product dust. Works great for keeping your work station clear and clean. Cushioned padding provides optimal client comfort. Includes three, reusable and machine-washable bags that catch the nail dust. Very low noise allows you to maintain a relaxing atmosphere at your salon.